“The keyboardist Steve Lodder’s debut album has precisely the right title, bout time 2 (Sleeve). By rights he should have recorded an album long before now, but it’s not surprising that he hasn’t found time when you consider how often he is called upon to participate in other projects — from playing African music with Sibongile Khumalo to “difficult” material with John Harle and back in his berth as regular keyboardist with Andy Sheppard. So it was always going to be interesting to hear his own voice. British pianist Steve Lodder is one of those first-call sidemen for anybody attempting something off the beaten track – he’s a member of the current Bowie-interpreting Dylan Howe band, and was a regular in the late George Russell’s UK orchestras, but he’s a cross-genre player with a devotion to keyboard music of all kinds. This solo album begins with a 14th-century piece from the earliest surviving keyboard-score manuscript, the Robertsbridge codex – which Lodder gently edges from a delicately ringing dance to a discreetly grooving improvisation. On his own Cranborne Chase he displays catchily bluesy turns and double-time bursts that suggest both Keith Jarrett and Abdullah Ibrahim; he plays the second movement of Bach’s Italian Concerto and the 16th-century virginal theme Monsieur’s Almain respectfully straight; and evokes Bill Evans’s conversational exchanges of chord-caresses and lightly swinging melody on Slippers Waltz. The most emotionally atmospheric piece is Lodder’s own spaciously abstract, Messiaen-like reverie Ronchamp; the most dramatic is an overdubbed feature dedicated to Joanna MacGregor. It’s an inspiring set for devotees of the piano, and for broadminded practitioners of it. Steve studied at Gonville and Caius College Cambridge, where he held an organ scholarship. 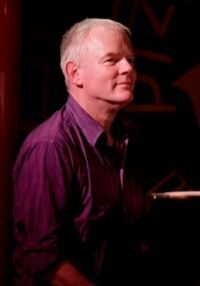 He taught music before developing an interest in jazz and improvised styles, which led to working with the elite of the UK’s jazz musicians, including: Andy Sheppard, John Etheridge, Annie Whitehead, Harry Beckett and Sarah Jane Morris. Internationally Steve has been a member of George Russell’s ‘Living Time Orchestra’ since the early ‘90’s and has toured with Carla Bley, Steve Swallow and Ernestine Anderson. He met with John Harle also in the early ‘90’s and recorded the ‘Shadow of the Duke’, and ‘Terror and Magnificence’, alongside Elvis Costello. Many other projects with John have followed, including working with Paul McCartney on his ‘Standing Stone’ and ‘Ecce cor Meum’ pieces. In the last few years Steve has collaborated with Robert Wyatt in a songwriting team for Brazilian singer Monica Vasconcelos, worked with Israeli drummer Asaf Sirkis in his group ‘Inner Noise’, and recorded his own album ‘Bout time 2’. The ‘Zappatistas’ are an outfit led by John Etheridge who rework the ouevre of Frank Zappa, with arrangements mostly by Steve. Over the last 5 years Steve has had 3 books published; one on the ‘70’s output of Stevie Wonder, one on the Hammond organ and it’s players, and the latest, the ‘Keyboard Bible’, an interactive tutorial/CD/DVD. He refuses to give up playing though…….